How can you compare Brizo to Miami Vice, and put a design software spin on it? Read on past the break to find out! If you have any questions, drop us a comment at the end of the post! 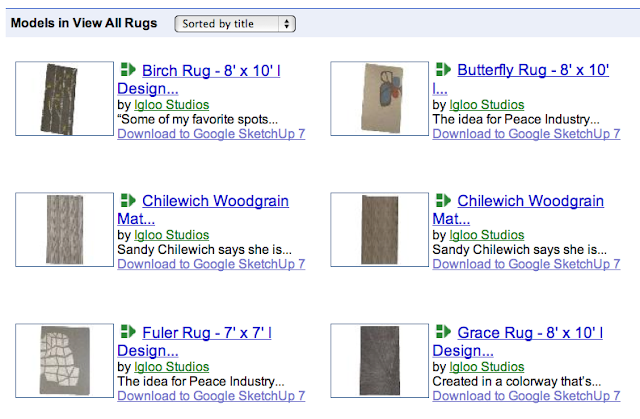 The other day I was looking for some slick carpets for a design. Rather then make my own, I searched the 3D warehouse and came across this collection of Design Within Reach carpets. These are very well modeled carpets that work great in Sketchup. Best of all they are embedded with extra "smarts" so they can be resized. 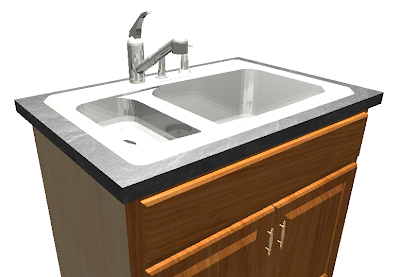 Just drop on in your model, right click it, and select "Dynamic Components" and then "Options"
To find these, just open the 3D Warehouse in Sketchup and search for "Design Within Reach rug"
When you are designing a kitchen on the computer, you always need to include the appliances. 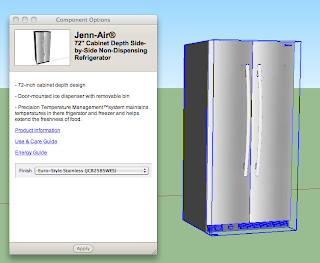 Most design programs have generic appliances that you can substitute for the real ones. Just make sure you have your specs handy so you can check to make sure they fit. But wait, we're designing in 3D, why can't we do all of that at once? Impossible sounding, I know.. But it can be done. If you look through the 3D Warehouse, there are some appliance companies that have stepped up and put their products online, in 3D. Not only can you download these accurate models into your design in Sketchup, they are embedded with all that information you need. Information like dimension guides and installation instructions. Oh, did I mention that they are accurately modeled in 3D? Now you can save yourself a bunch of work, and even show your customers exactly what their appliances look like. How cool is that? Check out below for a few appliances. Get Sketchup today and try it out for yourself! AIA 2010 Re Run: Mike builds kitchens from space! Of all Mike's presentations, there was one that really stuck out for me. 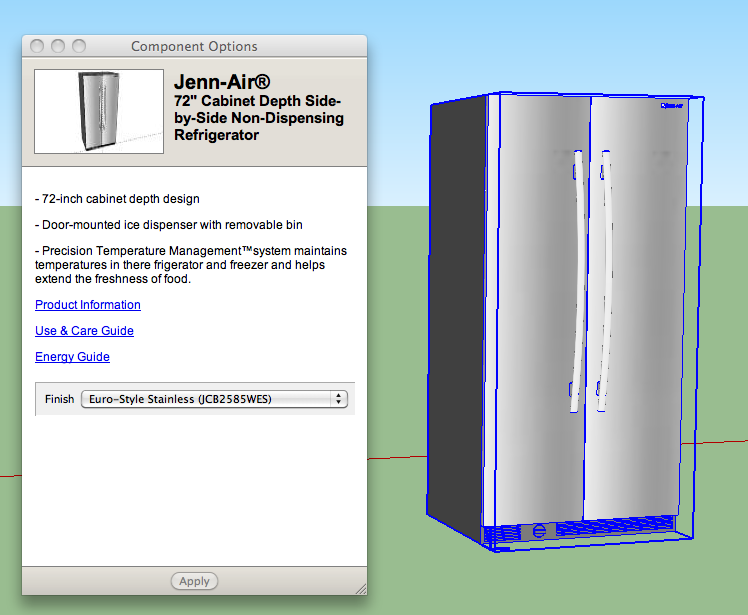 Mike started building a kitchen using the Kraftmaid models that are available in the 3D warehouse. He went on to show how easy it is to create kitchens and living spaces with these models. At one point, a lady asked if she could build her own kitchen with these tools. Mike said "Sure!" and then asked, "How about I build your kitchen for you?" She agreed. At this point, she, I, and I think everyone else was confused as to how Mike was going to accomplish this. Remember, we're all on a trade show floor, and even though we were surrounded by architects, nobody had any idea what her kitchen looked like. 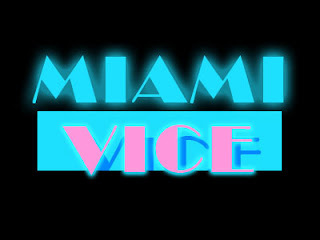 Without skipping a beat, Mike asked what her address was. He pulled up Google Earth, and zoomed in on her location, and found the aerial photography of her house. 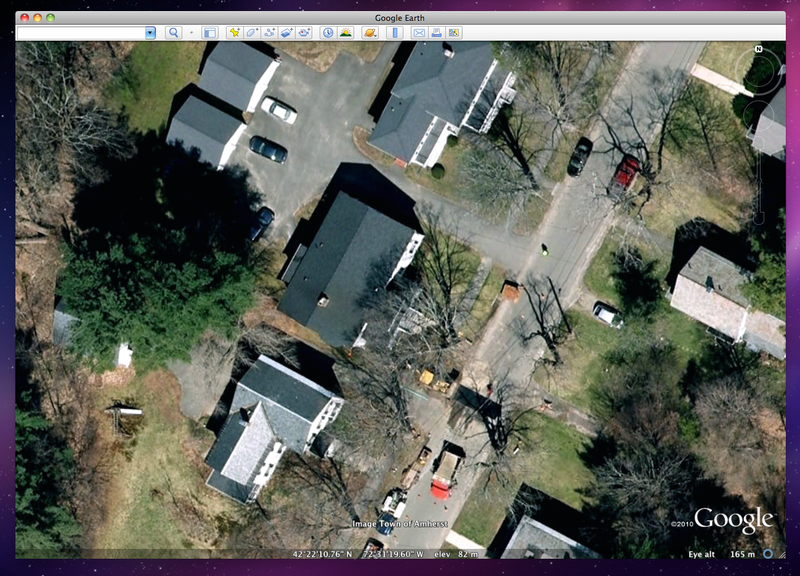 With just a few clicks, Mike had the aerial photography in Sketchup, where he began to trace the outside of the house. He was quickly able to model up the walls. The lady at the show was rather confused up until this point, because she had no idea how Mike was going to draw her house, without ever seeing it. As soon as she saw the walls go up, she was able to easily describe where her kitchen was located. After Mike built her a kitchen, he even emailed her the Sketchup model. She can now go home, download Sketchup Free, and view her dream kitchen herself, right in her own home. When she decides its time to get it built, she's got a great 3D model to start with! They say a picture is work a thousand words, but how many words is a 3D model worth? 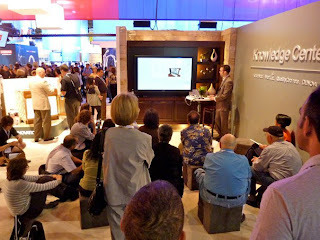 KBIS in Las Vegas was certainly a great experience this year. The show was smaller then it has been in past years. Despite the small size, there was an air of optimism about. People seem to be less nervous about the economy. This year I presented in Kraftmaid's Knowedge Center. This was in the technology area of the Masco Cabinetry. I did presentations on how to use the iPad in a dealer showroom to be way more productive, and eliminate just about every piece of paper in sight. 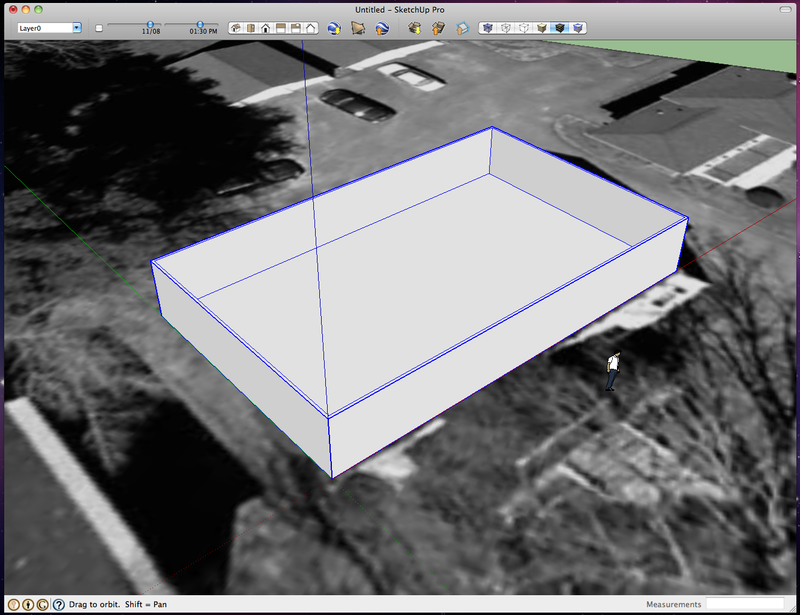 I also did some Sketchup presentations. Mark Johnson did wonderful presentations on social media. 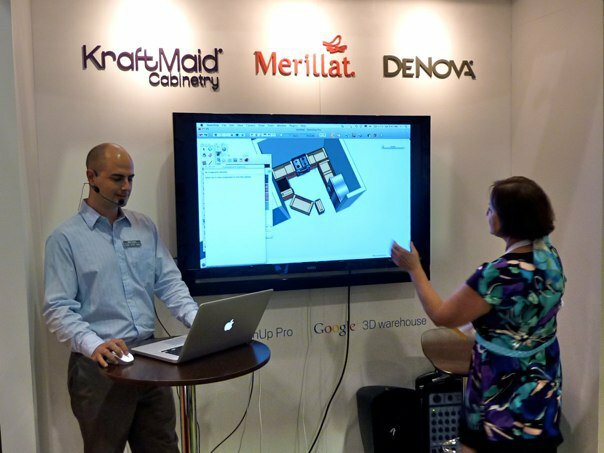 Mike Tadros and the gang from Igloo studios launched a new plugin for Sketchup that will make ordering and specifying products lightyears easier. There were even some live renderings using Shaderlight right on the show floor! In the coming weeks I am going to get more in depth about each topic we presented. For now, I will leave you with this YouTube clip that was recorded of Mark and myself on the show floor.